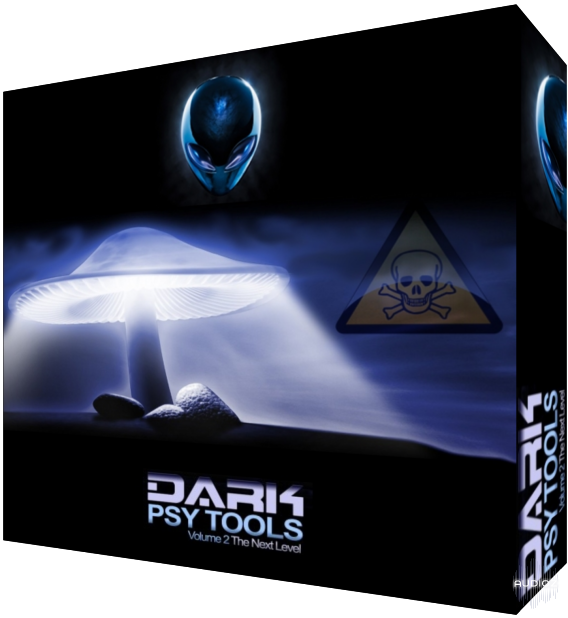 'Dark Psy Tools 2' comes from another stellar system. Some sounds cannot be created just by using presets. Some sounds require resampling and chopping up. Harness this power in your next Dark Psy tunes! These sounds were massacred until they got a groove all of their own. Use these sounds at your own risk! Colarium can not be held responsible for any damage caused due to working with these loops. All loops come in 44.1/24-Bit ACIDized WAV format with with meta-data included. Tempo is 150 BPM and the key is C.
As a special gift you get six Turnado secret presets to help you learn how to chainsaw your own sounds. You also get 12 weird voice samples and the kick and bass from the Demo, and the Live project of the Demo.